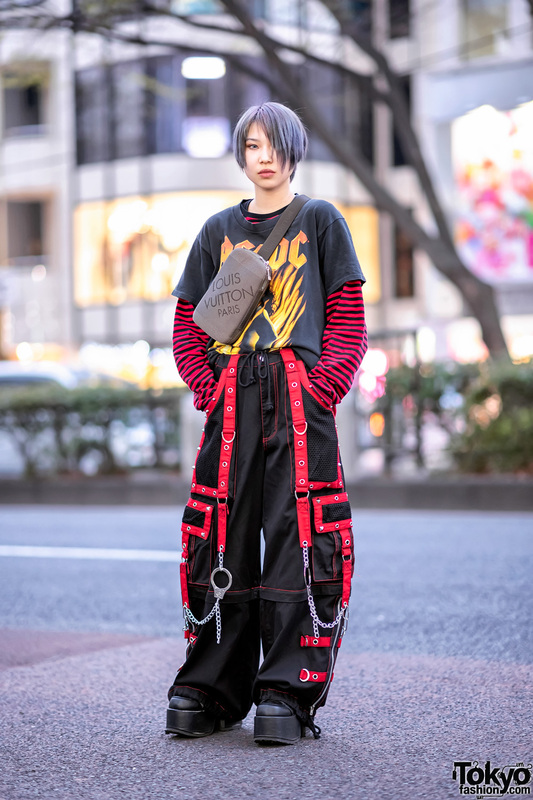 While walking along the streets of the Harajuku neighborhood, we met Hikaru, whose streetwear style easily caught our attention. 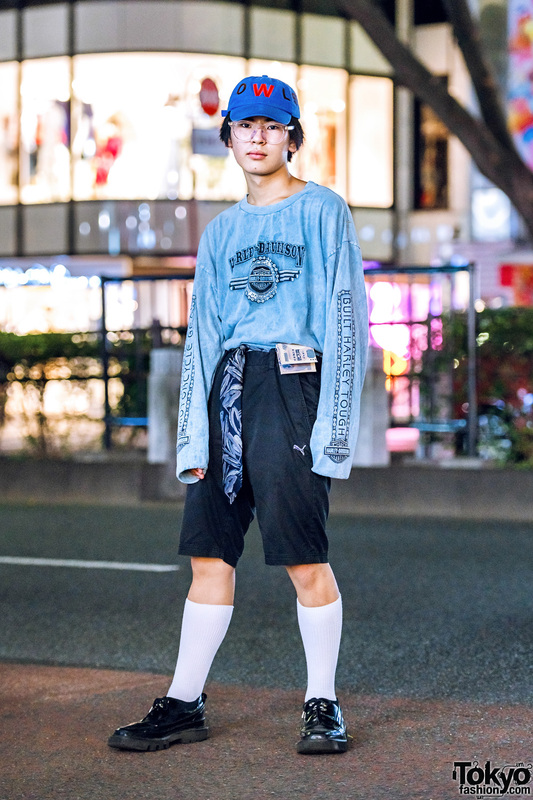 17-year-old Hikaru stepped out in a Harley Davidson sweatshirt, which he tucked into a pair of black long shorts from Puma. 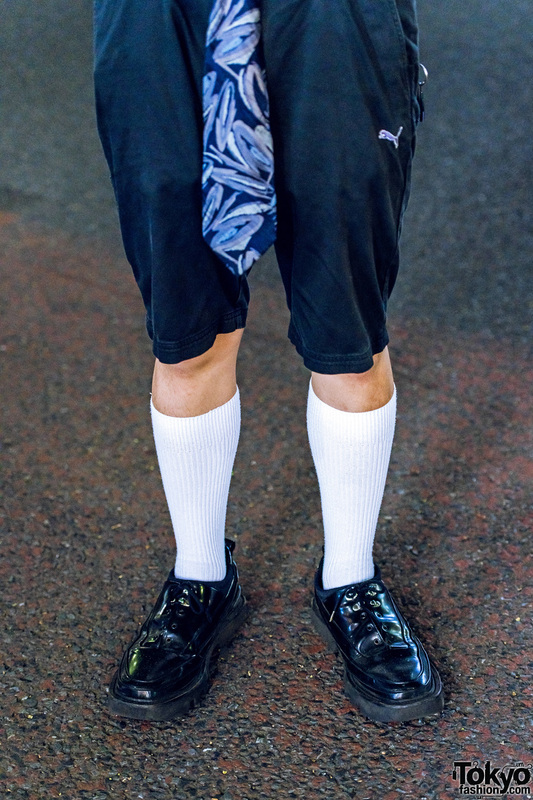 White knee socks, shiny black lace-up shoes from Rombaut, and accessories – from Walter Van Beirendonck – such as a blue cap, clear glasses, and a blue printed necktie used as a belt rounded out his ensemble. Belgian fashion label, Walter Van Beirendonck, is Hikaru’s favorite fashion brand, and he listens to the music of Kiss Bee. 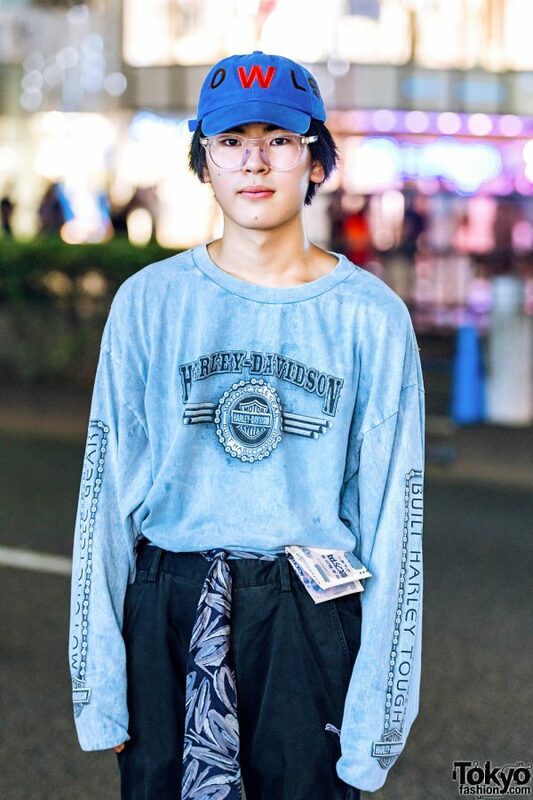 Check out Hikaru’s streetwear game on Instagram.